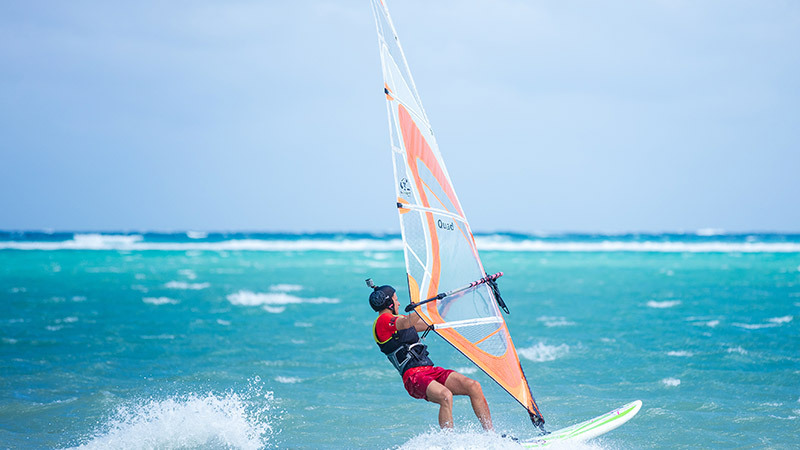 A water-based sport that combines both surfing and sailing, windsurfing is a great way to catch the refreshing tropical breeze in your sails as you navigate through the sparkling lagoon surrounding Veligandu. Take the chance to appreciate the white-sandy shores of the island from afar. Eager to try? Please drop us an email to veligandu@oceangroup.mv or visit our Ocean Water Sports Centre directly and gear up!